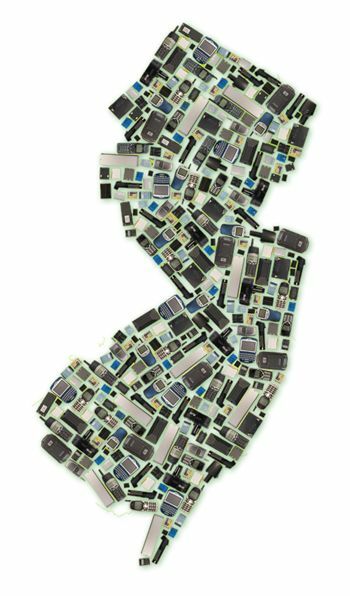 Many New Jersey counties have been collecting household batteries for recycling and proper disposal since the early 1990s. Due to regulatory changes and less hazardous battery compositions, collection practices may change. This page provides an area for ANJHHWC to track issues, resources and discussions related to the changes in dry-cell battery management that occurred at the beginning of 2010. Salem – Webpage – Lists rechargeable batteries as acceptable item at HHW events. Battery Management Public Service Announcements (Audio) – Below are two public service announcements (PSA), 26 and 55 seconds in length, producded by the ANJHHWC in 2010 promoting the Call2Recycle rechargeable battery recycling program. Feel free to save these PSAs and to get them broadcast in New Jersey. 2010 ANJHHWC poster promoting recycling old rechrageable batteries and cell phones through the RBRC program. 2010-04-02 – ANJHHWC Press release regarding the RBRC grant promoting the “If It’s Rechrageable, It’s Recyclable” campaign. 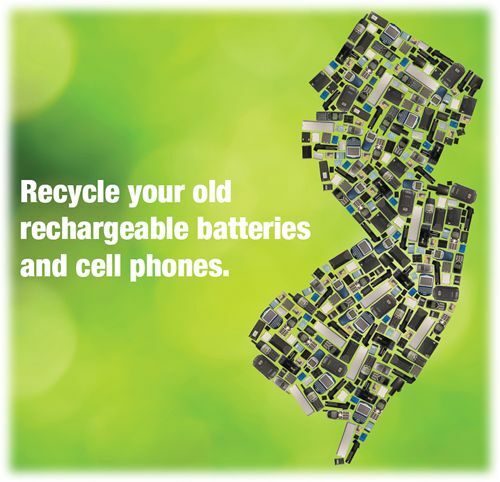 Implement a sustainable and successful rechargeable battery recycling program in New Jersey in conjunction with Call2Recycle®. 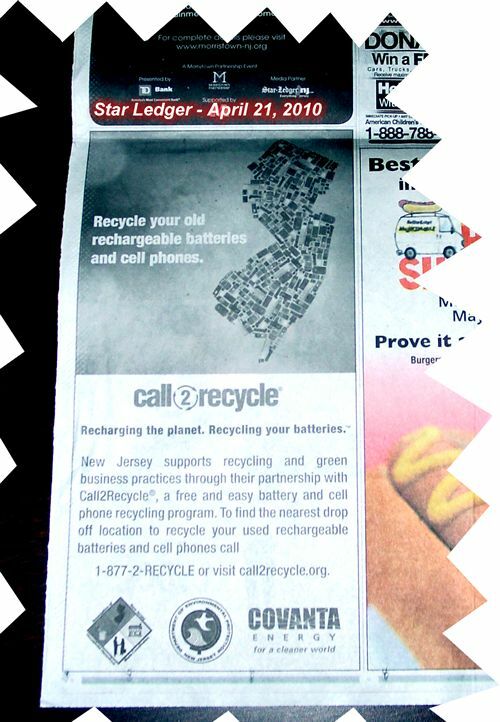 Educate 8.6 million New Jersey residents using a broad based mixed media outreach campaign about rechargeable battery recycling and its positive affect on our landfill, water quality and health. Divert rechargeable battery waste from landfills and waste-to-energy facilities and to prevent pollution. Educate the public on how to keep disposable or used alkaline batteries out of the Call2Recycle® rechargeable battery program. Above is a copy of a Newark Star Ledger ad that ran on April 21, 2010. This ad was also running in the Atlantic City Press and Courier News on this day and will also run in all 3 papers on April 23, 2010. 2010-08-03 – Battery Posters at Train Stations – This PDF shows pictures at 3 different NJ Transit train stations on August 3, 2010 promoting the “If It’s Rechargeable, It’s Recyclable” battery campaign. 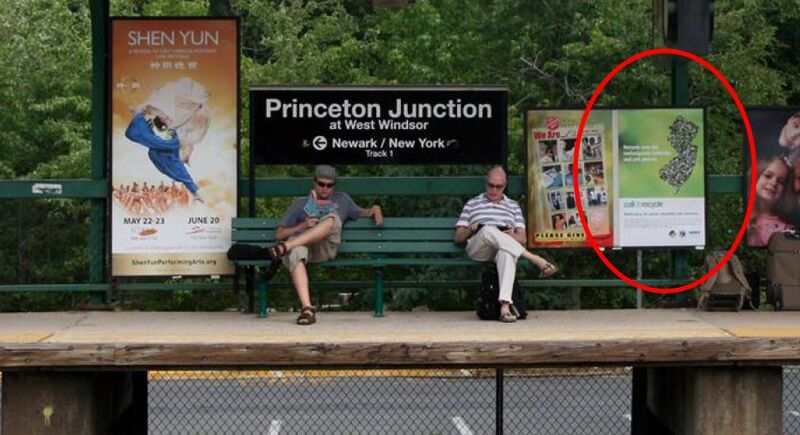 Below is the photo from Princeton Junction train station. Web Ads on NJ.com – ANJHHWC established two week web banner ad campaign from September 13-27th which was in all news sections in each county on http://www.nj.com. There were 250,000 web impressions during those two weeks and when people clicked on the banner they were directed to the RBRC website. RBRC Collection Tally – The year 2010 goal based on implementation of the grant program is to increase the rechargeable battery recycling tonages handled by the RBRC from New Jersey by 15% in comparison to 2009 figures. Our 2010 target was to hit 105K pounds and we hit 111K pounds!!! We exceeded the 15% targeted increase. See the chart below for more information.